Did anyone else feel like this was a long week? I mean my evenings were pretty full of appointments (pampering myself since everyone moved my appointments to the same week), but the work days were long and I was super busy. But I am so glad we have another weekend upon us. We don't have much planned, and I am ok with that. Happy Friday the 13th all! ONE. So I have been looking into all the things we are going to do for the Halloween season and I can't wait to dress my girls up. The weekend before (the 28th), we are heading to our state's parade since Nevada Day is Friday October 27th. I haven't been since I was a kid and Rory wants to share it with the girls. Then we have a trick or treating event at the Discovery Museum and since we are members there, we are taking full advantage of it this year. We have a few other trick or treating events around town plus actual Halloween. Speaking of Halloween, I have to fly down to Las Vegas the day before for work and stay overnight. I am hoping my case is heard as #1 (won't find out til later this month), so I can change my flight to an earlier one and get home way before Rory and the girls do to prep for the evening. Otherwise, I will be running home right after I land (at 5:05) just to make it in time to take the girls out. And if you don't remember, these are the girls Halloween costumes plus shoes. TWO. I have been waiting for a certain sweater to come back in stock at Mindy Mae's Market and it finally did this week. I scooped it up as soon as I saw it. It is perfect for the fall/winter and so simple but cute. THREE. Growing up, my mom decorated our house for the big holidays....Easter, Halloween, Thanksgiving and Christmas. But she also would decorate a bit for holidays like Independence DAy and Valentine's Day. I loved this growing up. I probably didn't appreciate it like I do now, but it was always fun to have a house decorated. Now that I have children of my own who are getting old enough to enjoy the holidays, I want to recreate that feeling in my own house. Last weekend I went to Hobby Lobby and Pier 1 Imports to find more Fall/Halloween decor for the inside of my house. I want to add a few pieces each year, so I can get my house up to my mom's standards. But I also don't want to buy all the cheap stuff. Balance. When I went into Pier 1 Imports, I was in heaven. They had all their Fall/Halloween decor up front, and I bought a few things, but then I browsed the Christmas stuff and I picked out a ton. I am going to go back every couple weeks and buy a few items each time, so I don't break the bank and we will have a ton of new Christmas decorations. Seriously, if you haven't been to Pier 1 Imports in awhile (I hadn't), go check them out. 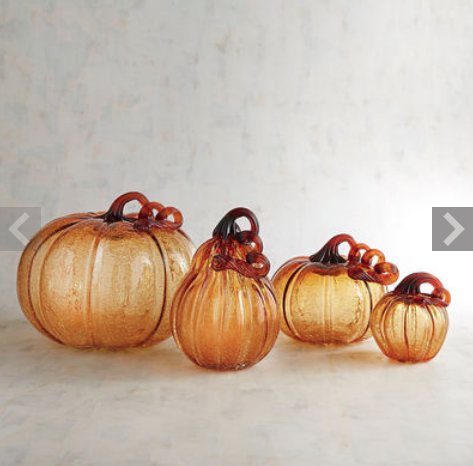 I bought the cutest glass pumpkins. They are thick and amazing quality. FOUR. 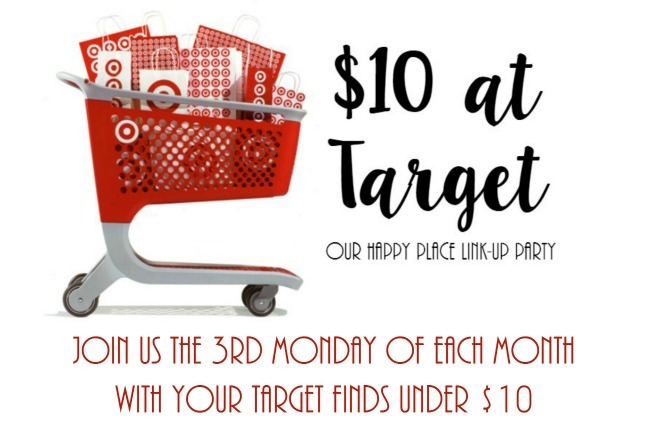 Don't forget that Monday is our $10 at Target link up. I know you all go to Target often like me, so come back here on Monday and share what you bought and see if I went over. FIVE. I found the perfect appetizer for any party, tailgate or just to impress when having people over for dinner. I can't wait to try these out. Love the minnie costume! My kids went as mickey and minnie one year when they were babies. That appetizer looks so good...I may have to try for a family party we are having this weekend. Thanks! Awe that is awesome. I bet they were soooo cute. We are definitely trying it as well. Everyone says it is really good. Have a great weekend! 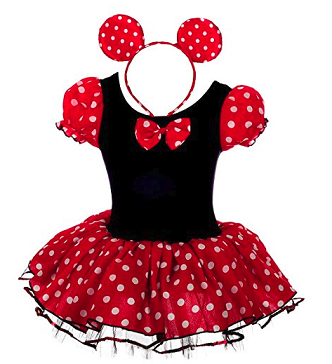 the girls are going to look so cute as minnie!! I love those glass pumpkins..ahh!! I love decorating for all holidays, valentines day included! Have a great weekend! Ok, I feel like I haven't asked this before and if I have I'm sorry, and you've probably shared it and I've somehow missed it, but what do you do for work? It sounds interesting! I hope you get home in time for trick or treating! Loooove that sweater! I just pulled the trigger on ANOTHER hoodie this week too, that makes 5, whoops LOL. I seriously want every one I see. Omg give me that app! So so yummy!!! Love that sweater and girl, those Halloween costumes are adorable! Here's hoping you make it back early enough so you dont have to rush! Fynnlee is dressing up as Minnie too. My MIL is making her costume but I probably should have just bought the one you did! It's really affordable. I made those apps for Thanksgiving a few years ago and they are amazing. Pretty easy too. 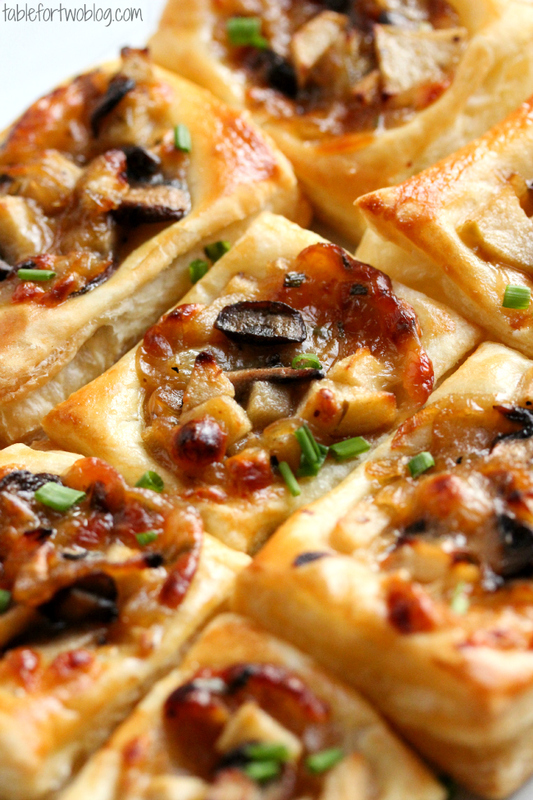 I had forgotten about them but I'm picking up some puff pastry and making this weekend! Oh the girls are going to look so cute in their Halloween Costumes. Those shoes are so cute. Oh that sweater is darling!! 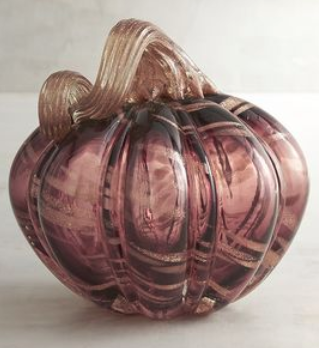 I love glass pumpkins - so beautiful!!!! Funny - I just told someone this week flew by for me. Crazy how that works. Um that app sounds scrumptious! I hope your case wraps up early and you make it home in time to see the little minnies in full action! That sweater is so cute! Enjoy your low key weekend! Yum! That appetizer looks delicious! Can't even stand those Minnie costumes...they're going to be adorable! I'm heading over to buy that sweater right now. It is gorgeous!!! Hope your weekend is perfect! Gimmie all the app bites!! Cute! I love the lil red shoes and you will be so cute in the heart patch MM sweater! 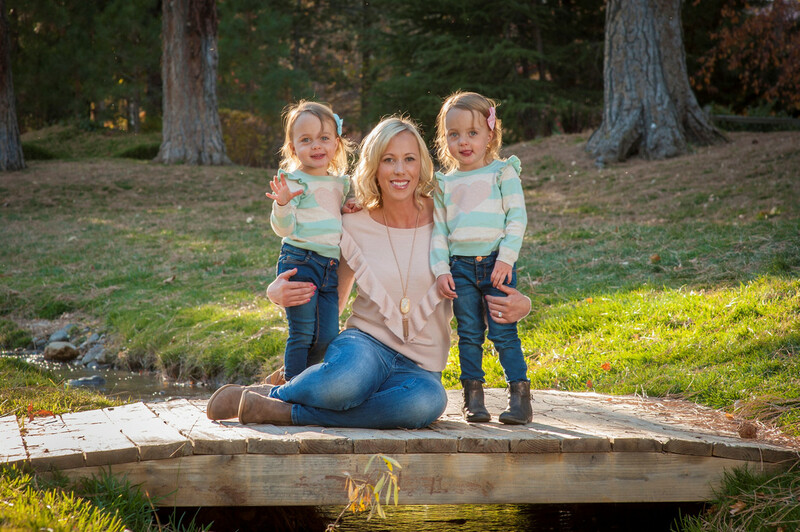 Have a sweet weekend pretty mama! I want those app bites sooo badly. I need something to make them for. The shoes were sooo adorable. It was soo cute on them yesterday. Huge hit. I want to take the girls to Disneyland soooo badly. love the minnie mouse! Evie is not into girl things as much. She picked out a dory and a train costume and I am still convinced she won;t wear either. I miss you friend and blogging.